Rewilding Europe proudly congratulates Alexandros Karamanlidis on his receipt of the “Conservation Merit” award for work to protect the endangered Mediterranean monk seal. 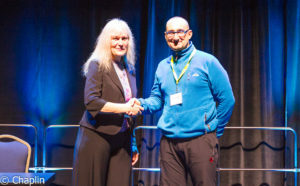 Rewilding Europe are delighted to announce that Alexandros Karamanlidis, a member of Rewilding Europe’s management team and a regional manager based in Greece, has won an award from the Society for Marine Mammalogy. The award recognises Karamanlidis’s long and dedicated commitment to protect the endangered Mediterranean monk seal, through his work for the Hellenic Society for the Study and Protection of the Monk Seal (MOm). 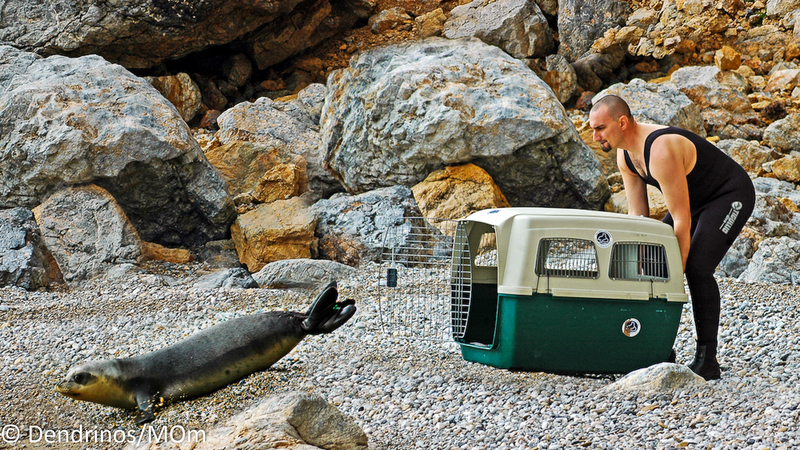 Alexandros releasing a Mediterranean monk seal in Greece. Karamanlidis’s “Conservation Merit” award, made for “an exceptional contribution toward solving a pressing conservation problem”, is being presented for only the second time. The Rewilding Europe regional manager has collected it on October 26 at the 22nd Biennial Conference on the Biology of Marine Mammals in Halifax, Canada. Numbering around 700 individuals, the Mediterranean Monk Seal population is very small and still faces numerous threats. In the past it was hunted commercially and persecuted by fishermen, and it continues to face habitat pressures. It was once widely distributed throughout the Mediterranean Sea, Black Sea and northern Atlantic (along the western coast of Africa), where it lived in colonies. The US-based Society for Marine Mammalogy presents the “Conservation Merit” award to Karamanlidis. The seal’s range is now heavily fragmented and today only two large populations remain – along the western coast of Africa and in Greece/Turkey – which have now developed significant genetic differences. 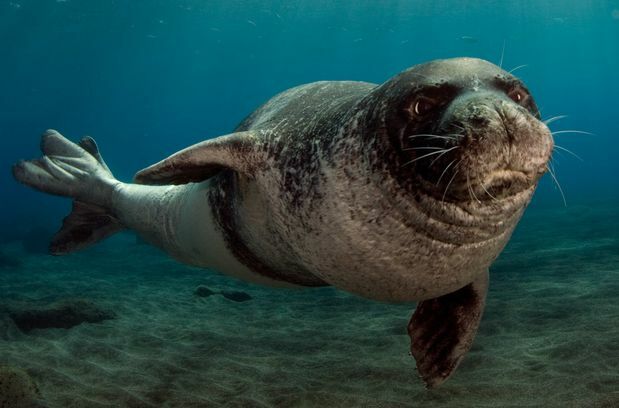 The good news is that the Mediterranean monk seal is now making a gradual comeback in parts of its range, with seals even putting in regular appearances in Piraeus harbour. Monk seals have also been spotted in two groups – one near the Kamenjak Cape and another on the west bank of Cres Island – in the Croatian Adriatic. This is great news for the Velebit rewilding area, which may be extended offshore into the Adriatic archipelago. Karamanlidis and MOm have worked tirelessly to collect and evaluate data on Mediterranean monk seals, and with local governments to protect the seal’s habitat. The conservation committee that selected Karamanlidis for the award noted the large number of scientific papers published by MOm, saying that they act as a foundation for the scientific monitoring and management of the seal’s recovery. Numbering around 700 individuals, the Mediterranean monk seal population is very small and still faces numerous threats. Karamanlidis has been heavily involved with Mediterranean monk seals since 1994. Rewilding Europe proudly congratulates Alexandros Karamanlidis on his award.